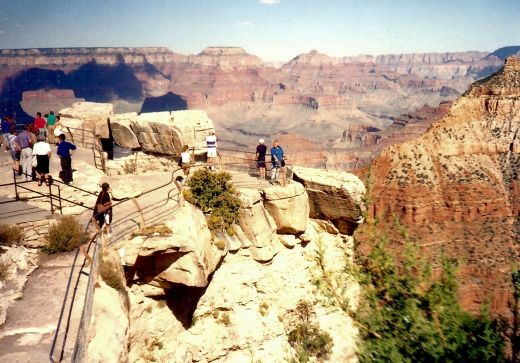 Traveling to Arizona and visiting the Grand Canyon National Park and departing with pictures and memories is a dream come true for most Americans and for that matter people from all around the world. Wow! Amazing! Stupendous! Every superlative one might think to utilize in describing the feeling of being there and absorbing the beauty of the place has undoubtedly already been used countless times. Having visited the Grand Canyon on three different occasions thus far it would be my great privilege to be able to enjoy it again sometime in the future. It is impossible to absorb all the nuances of beauty and opportunities to explore all the nooks and crannies of the park in one, two, three or even more visits. Each one of my visits to date has merely involved looking down at the canyon from the many overlooks that are provided within the park. 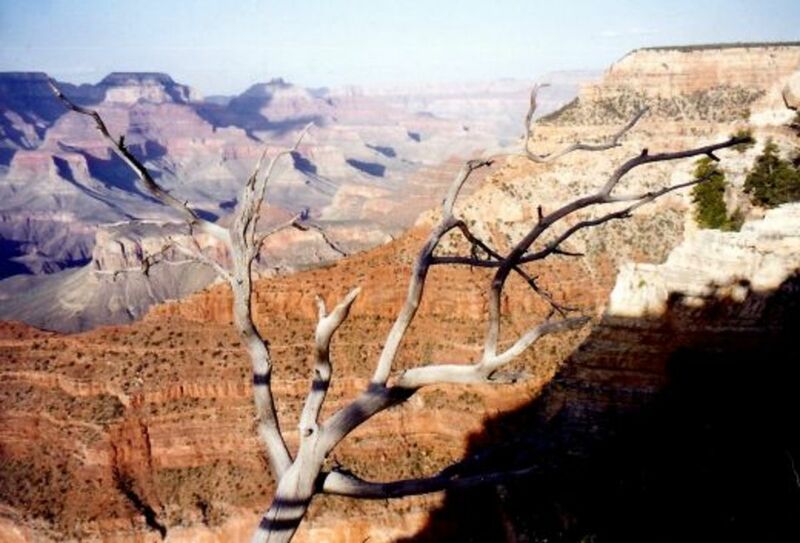 And each time the Grand Canyon was viewed from the South Rim by me and the people accompanying me on these vacations. The vast majority of visitors see the Grand Canyon from the South Rim...about ninety percent of them as a matter of fact. 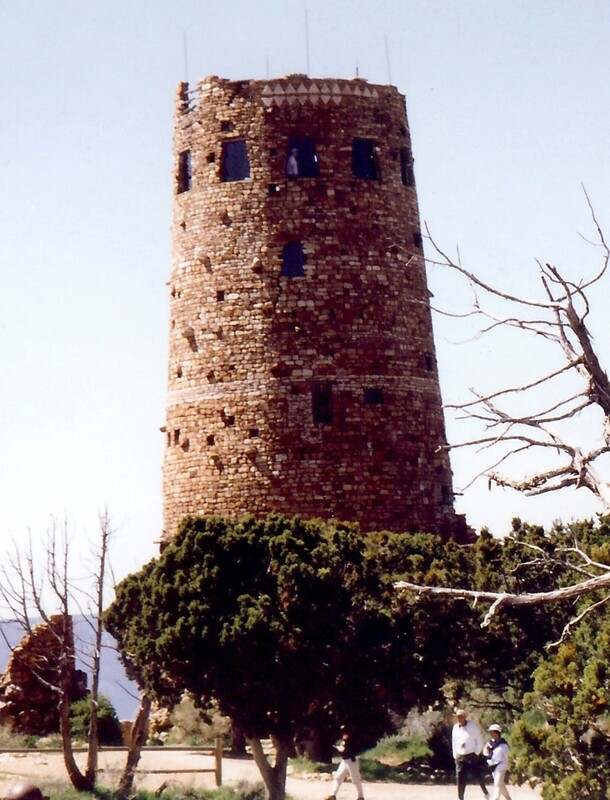 It is open year round for visitors while the North Rim is generally only open from mid May to mid October depending upon weather conditions. One of the nurse anesthetists that I used to know when I was working in the operating room as a nurse many years ago used to go with friends to the Grand Canyon for a float trip down the Colorado River. She never tired of it and looked forward to the same vacation year after year. She would tell of the excitement of running the rapids of the Colorado River as well as drifting by the stunning and ever changing scenery as viewed from the river looking up at the cliffs and canyon openings. Camping at night along the Colorado River with the canyon walls looming up on either side of the river and listening to the sound of the water must have been thrilling. Beautiful as it is looking down into the Grand Canyon seeing it from below and looking up would be an even greater pleasure. Another set of friends of ours recently took the mule ride down into the Canyon for an overnight stay at the Phantom Ranch Lodge. That would also be a thrilling experience if one is not afraid of heights. Although to date no one has ever gone over a cliff while riding one of the sure footed mules down into the canyon and back up, traversing those sometimes narrow paths with sheer drop offs would not be for the feint of heart. Of course people can also hike down into the canyon. It is an average depth of about one mile. Climbing back up generally takes people twice as long as hiking down. Free back country permits are required if one plans to backpack and spend the night on the canyon floor. Taking pictures at the Grand Canyon provides ever changing views depending upon the time of day, shadows from overhead passing clouds, changing weather and the time of year. The same exact location and subject matter would differ depending upon all of those circumstances and more. 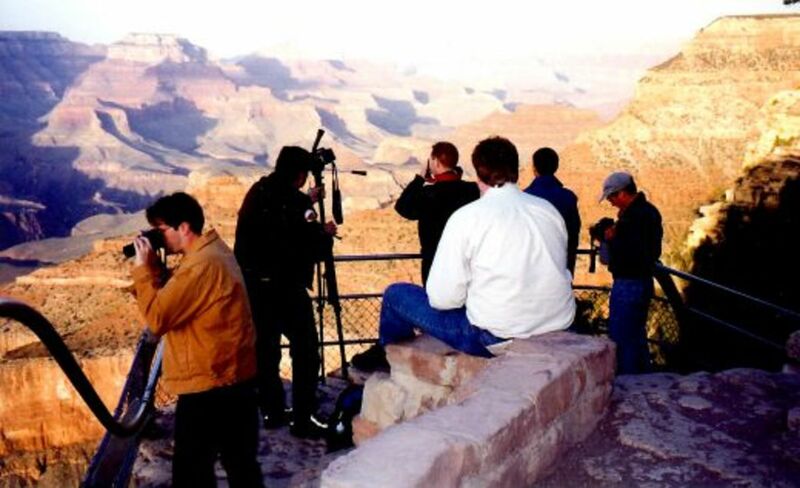 Most people have camera equipment and snap photos or film their visits to the Grand Canyon. Prior to digital photography I would imagine that many rolls of film were sold at this location because the views around each bend of the road and every overlook are so spectacular. 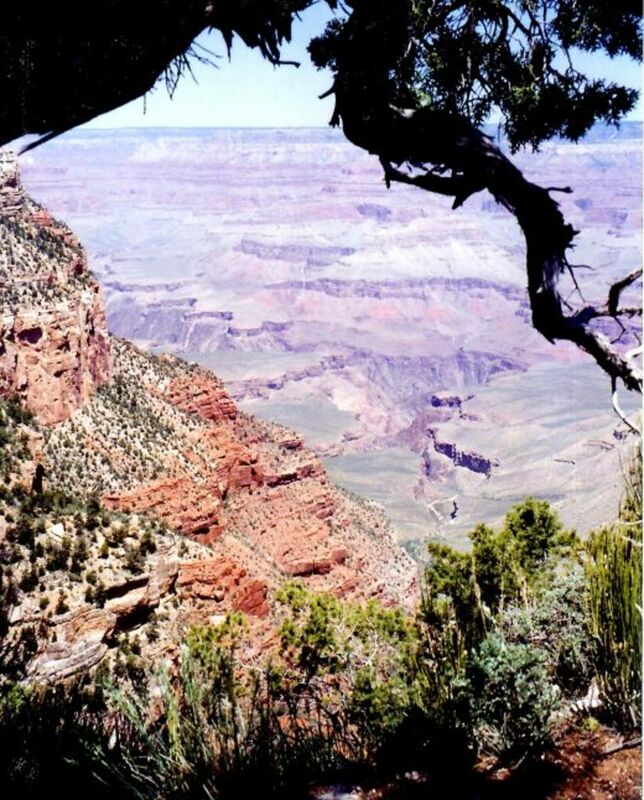 When my friend who was visiting from Germany first looked at the Grand Canyon, she literally could not speak. She had a lump in her throat and tears in her eyes. She was overwhelmed by the experience of seeing the Grand Canyon for the first time. This was one of 10 national parks that were on our list of places to visit one year when we decided to vacation together. 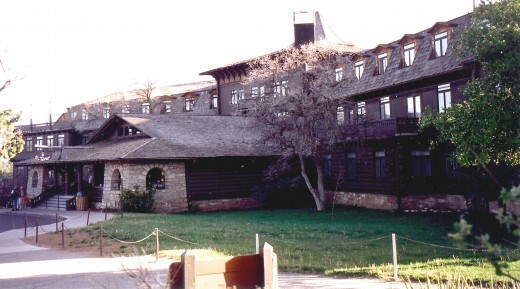 There are a number of lodges in the Grand Canyon National Park and we had made reservations to stay at the Yavapai Lodge. One has to make reservations well in advance in order to be able to spend the night and this we did. One evening we enjoyed a wonderful dinner at El Tovar which is the original lodge built within the park boundaries. Back in the 1870s the Atchison, Topeka, & Sante Fe Railway used to be the primary means of transporting people to this park. They also hired hotels and restaurants to be built to accommodate the travelers. 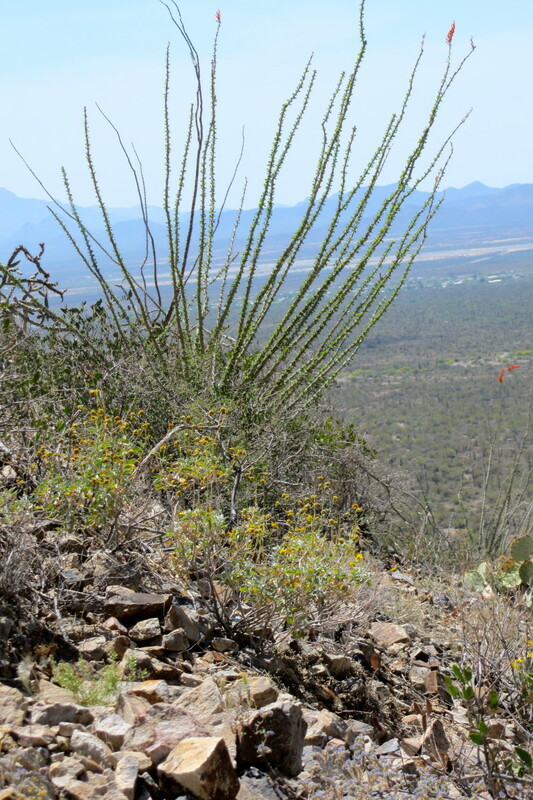 Contracting with the Fred Harvey Company to manage these locations offering food and overnight rest stops turned out to be a successful venture for both entities. 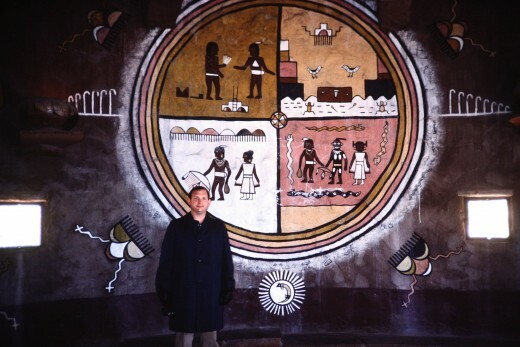 Near El Tovar and built on the edge of the Grand Canyon is the Hopi House. It sits near the canyon wall adjacent to the El Tovar Lodge. 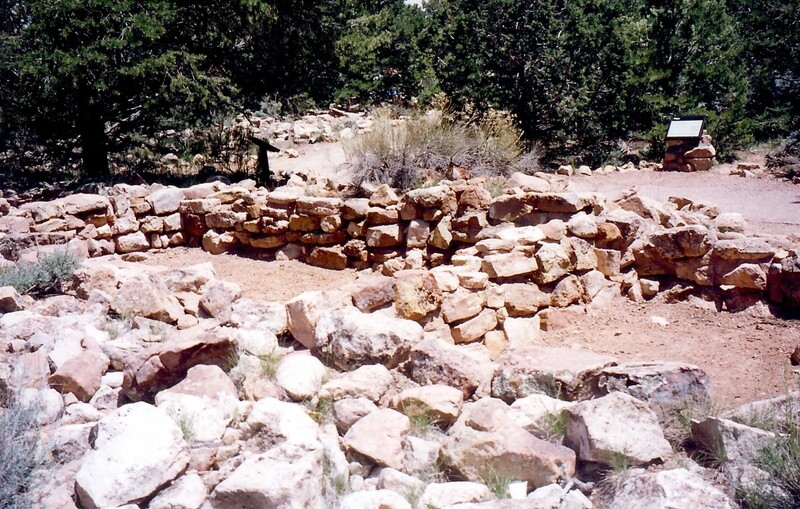 The Hopi House and El Tovar along with many of the other structures in Grand Canyon National Park were designed by Master Architect Mary Elizabeth Jane Colter who extensively studied Anasazi Indian sites learning about their methods of building design. She incorporated native landscape materials in the shaping of her structures so that they would blend in with the surrounding views and look most natural to the site in which they are located. 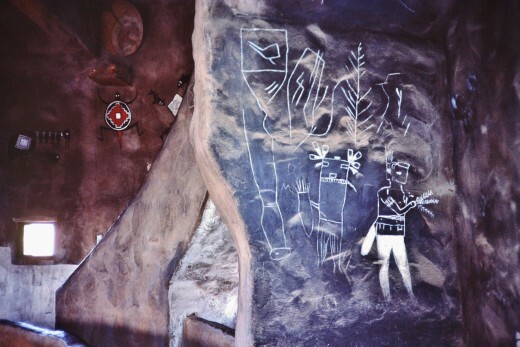 The Hopi House besides offering tourists an idea of how Indian pueblos appear primarily provides a unique setting for the merchandising of Indian goods. 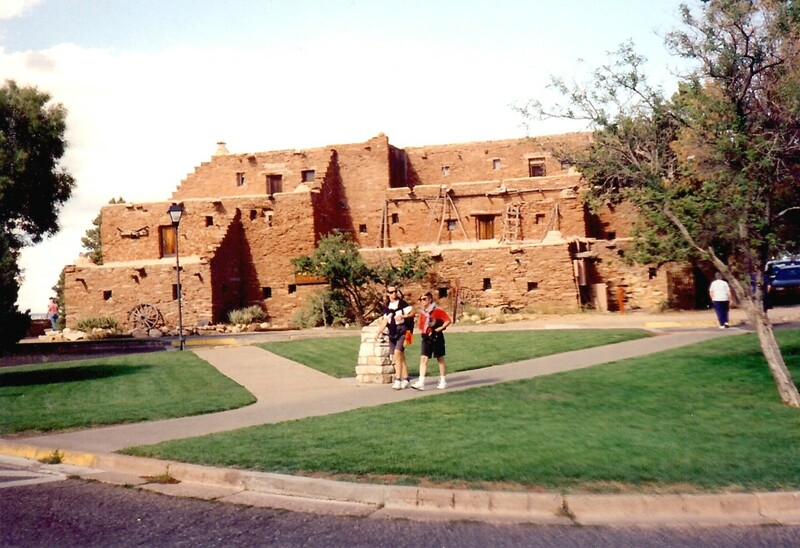 Outside the pueblo at regularly scheduled times native Americans in costume perform with songs and dances. 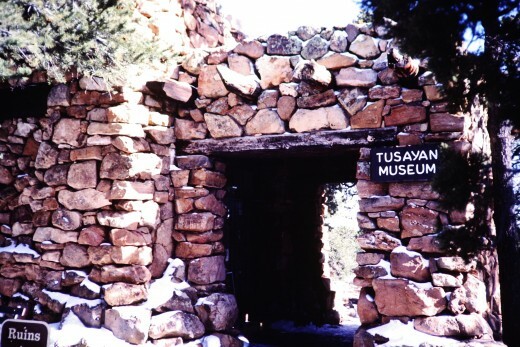 It is an opportunity to take away a little bit of the history of the Indians who originally occupied this beautiful area and still do on the many Indian reservations surrounding the Grand Canyon plus acquiring some souvenirs if desired. 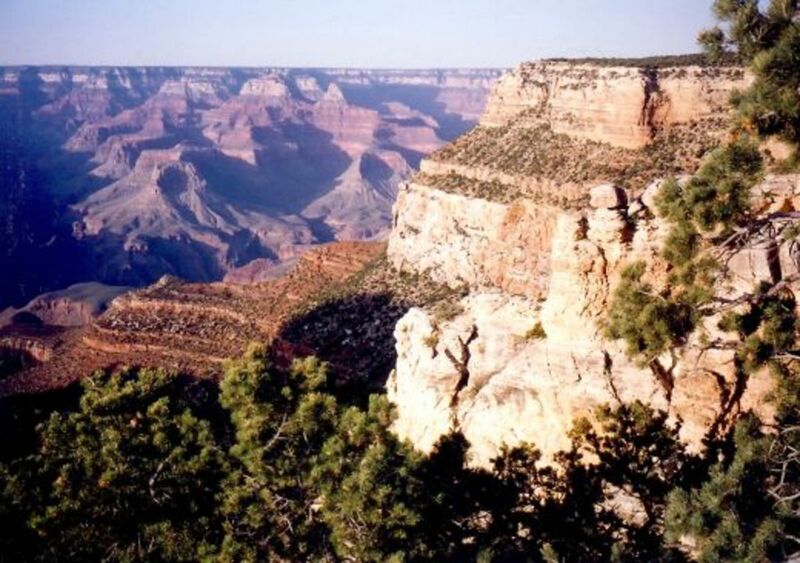 The Grand Canyon first was designated a National Monument in 1908. It finally became a National Park in 1919. 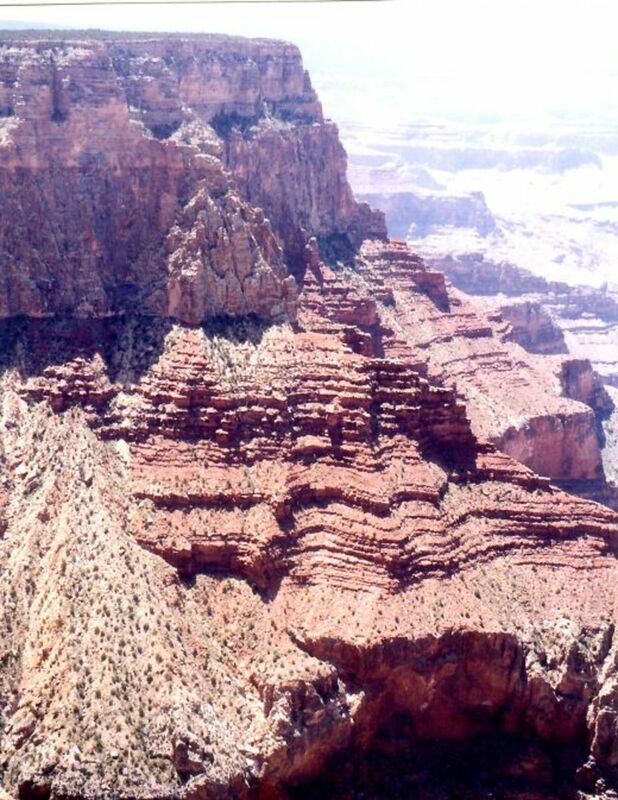 The Colorado River through years of erosive action carved this immense canyon from the Kaibab Plateau. It took anywhere from three to six million years according to scientists to achieve what is seen there today and by no means is this work finished. Continual action of the rushing river water along with other forces such as rain, wind, snow, frost and heat are still continuing to change the shapes all along this majestic canyon. 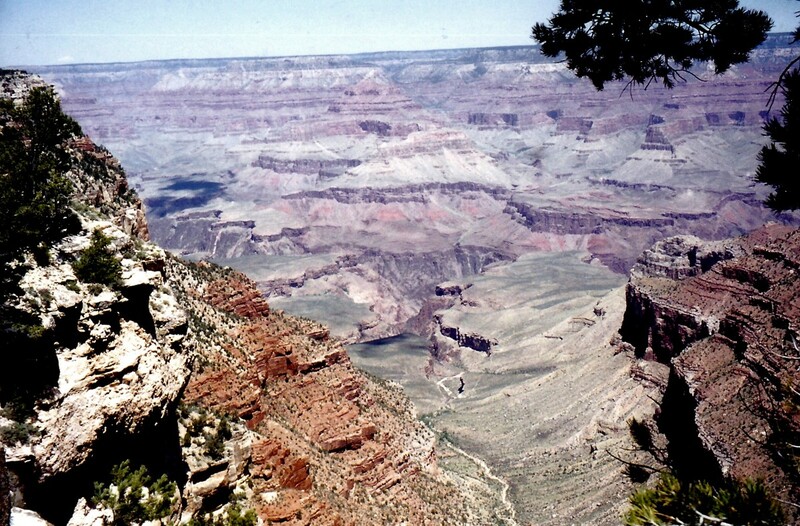 277 miles of the Colorado River are contained within the Grand Canyon National Park. 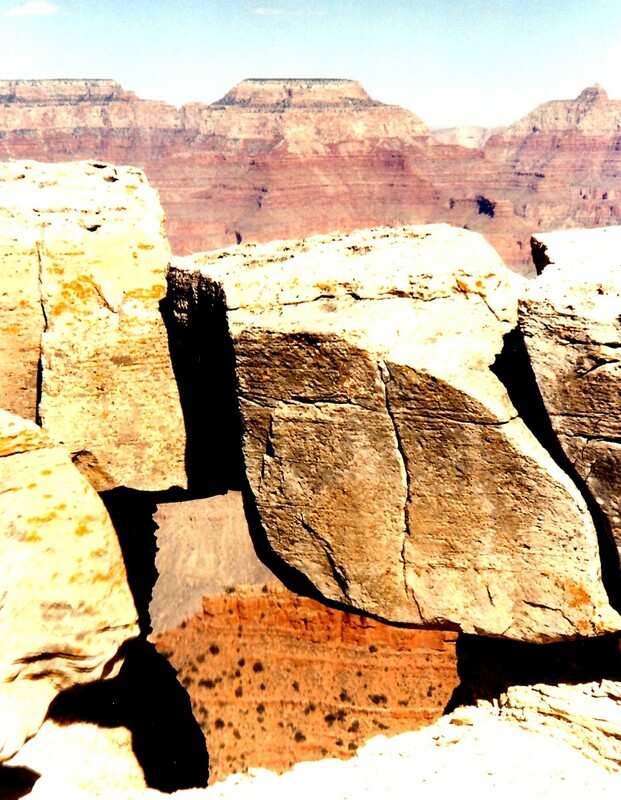 The widest point between canyon edges is about eighteen miles with an average width of about ten miles. The Colorado River within the park averages 300 feet in width and is up to 100 feet in depth. At an average speed of about 4 miles per hour the river provides plenty of movement for people taking the rafting trips down the river. The North Rim of the Grand Canyon is around 8,000 feet above sea level with the South Rim averaging 7,000 feet above sea level. 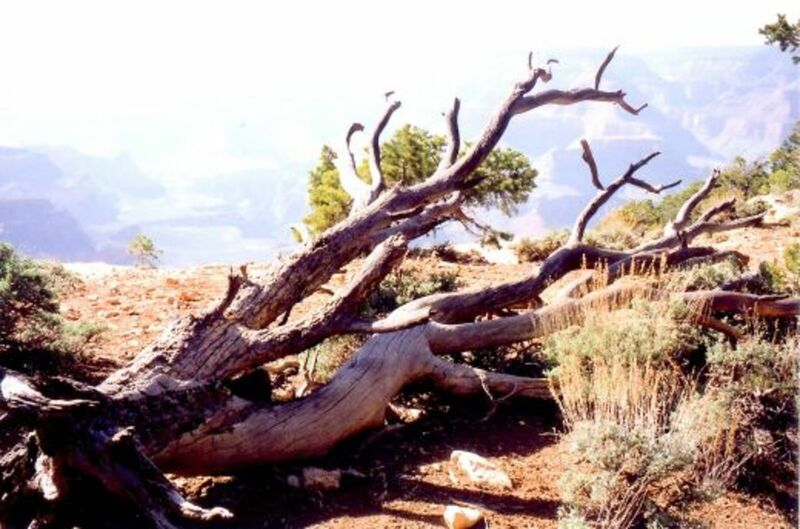 This accounts for the South Rim being warmer and able to be open year round. 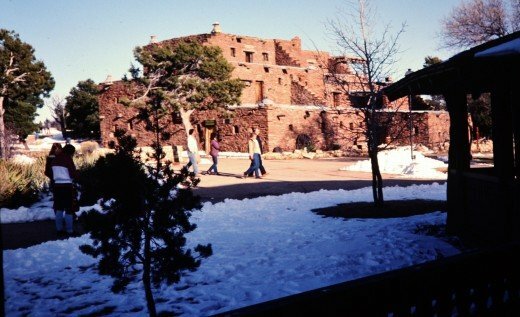 Average temperatures on the South Rim during the summer range from the 50s to the 80s Fahrenheit and during the winter these temperatures drop to the 30s to below zero F. It is about 30 degrees warmer down in the canyons. On the North Rim people can count on the temperatures being about ten degrees cooler. 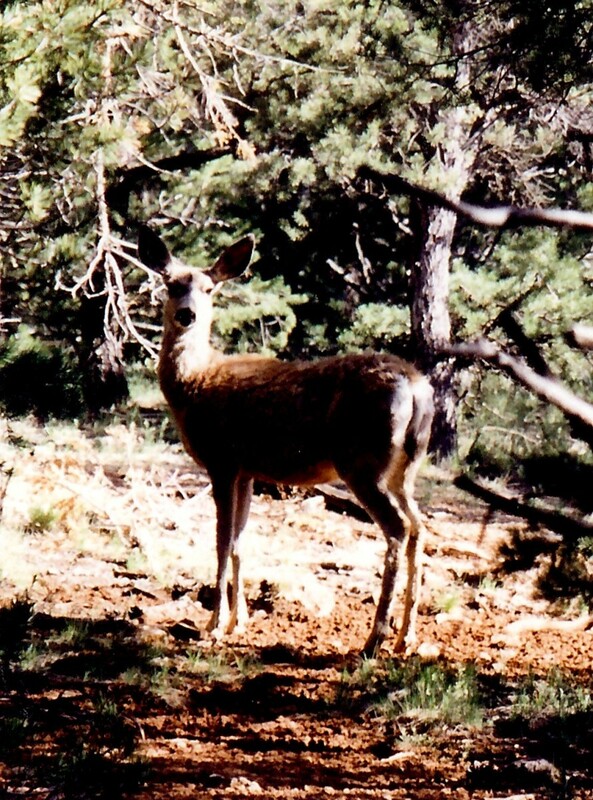 Deer are abundant in the park but there are also other animals. 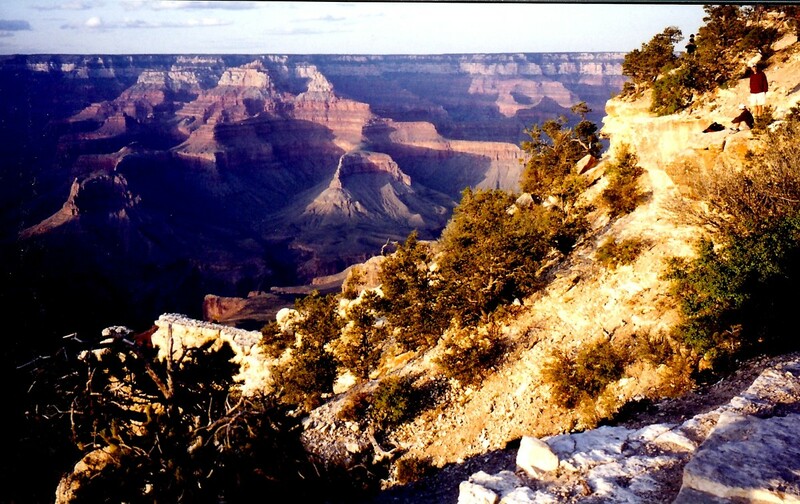 Within the Grand Canyon are 70 species of mammals that might be spotted at one time or another. Also for bird watchers the 250 species that reside here at one time or another can keep visitors happily occupied in spotting them. 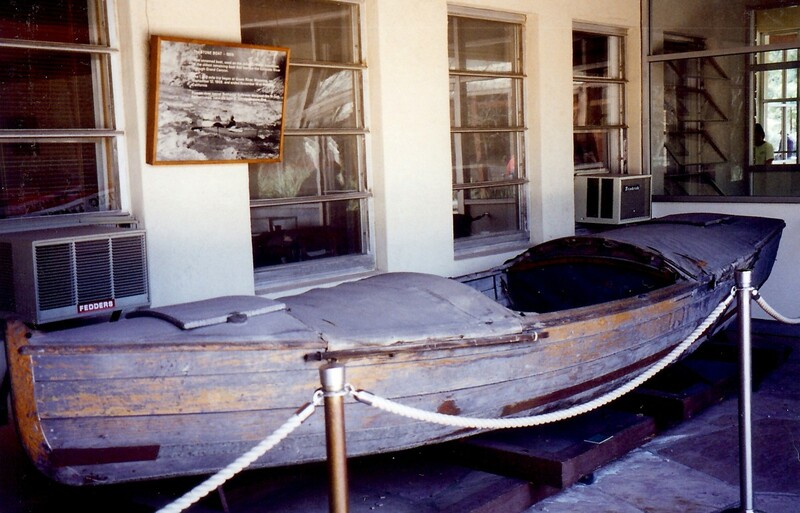 "This unnamed boat, used on the Julius F. Stone expedition, is the oldest remaining boat that has run the Colorado River through Grand Canyon. The 1,300 mile trip began at Green River, Wyoming, on September 12, 1909, and ended November 19 at Needles, California. Pioneer river runner Nathaniel Galloway designed the 16 foot, flat bottomed, cataract boat to run rapids stern first." 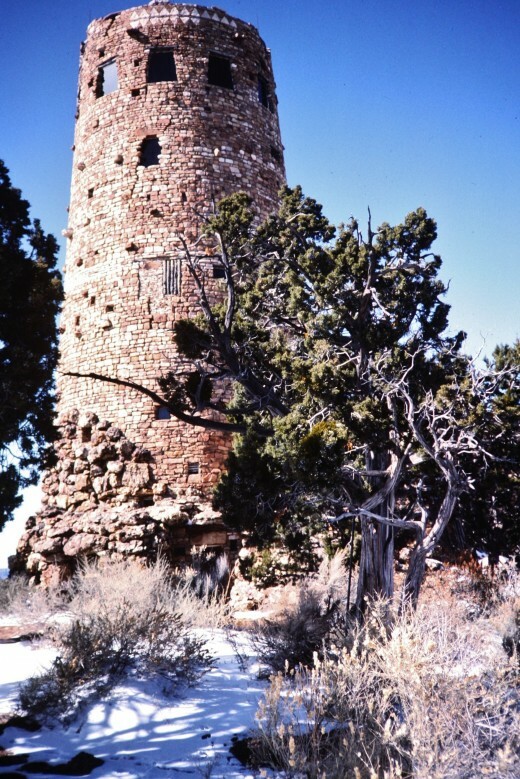 Prior to the Grand Canyon becoming a national monument and then a national park private enterprises were operating along the canyon rim. One such business was a photographic studio owned by the Kolb brothers. 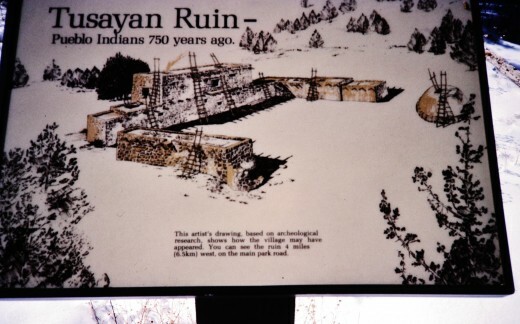 This is the building they had erected and it is now operated by the National Park Service. There is an auditorium inside as well as a bookstore. Frequent art exhibits are also on display at that location. The Kolb brothers used to take black and white photos of the people descending the canyon on mules and would expeditiously have the film developed and for sale upon the visitors return. An interesting fact that I recently learned was that their developing studio was about a 45 minute walk down into the canyon. They must have kept themselves in great physical shape scurrying up and down those canyon walls on a regular basis! A Natural Wonder of the World. There are amazing sites all over planet earth and the Grand Canyon surely deserves its reputation as being one of them. In fact it is considered to be one of the 7 natural wonders! 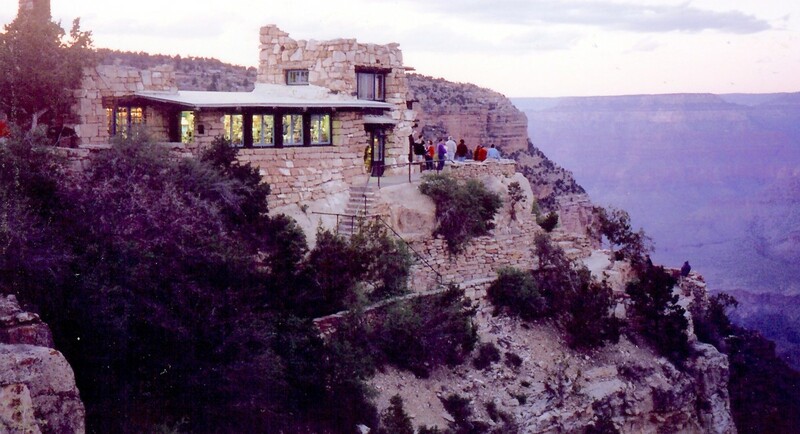 There is now a West Rim Grand Canyon site that has opened and a skywalk has been built since the timing of my last three visits. The roads getting to that site are mostly graded but can be bumpy and rutted for the last 18 miles depending upon rains according to what I have read. 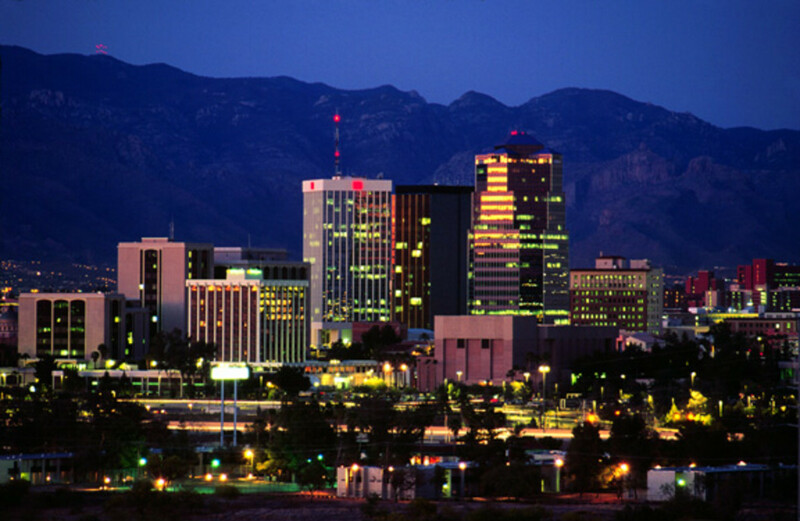 Most of the visitors get there from tours arranged and originating in Las Vegas. 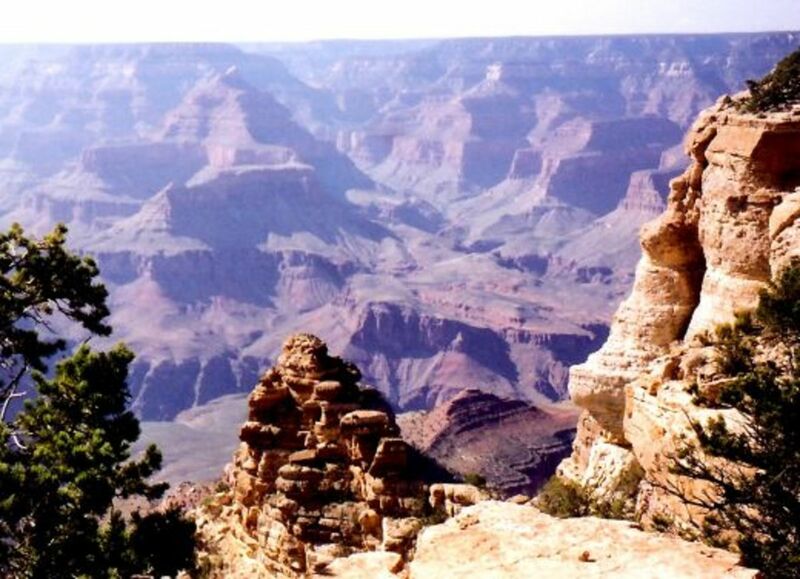 No matter how one chooses to travel to the Grand Canyon National Park in Arizona and how one elects to enjoy this natural wonder while there one will surely come away from that site with a feeling of awe and wonder. Hope you enjoyed these pictures taken on several of my trips as well as the inserted videos. 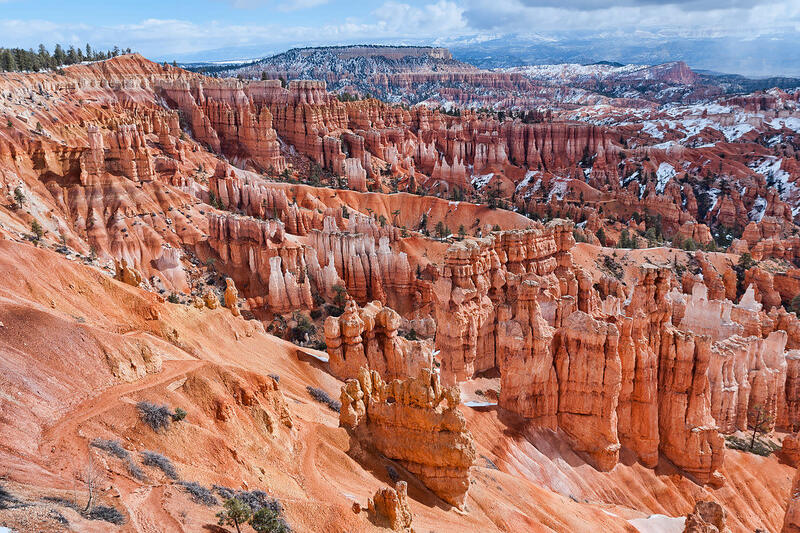 The wow factor will still be there when you get a chance to visit this national park in person. Good as pictures can be there is nothing like seeing and experiencing the Grand Canyon in person! Slideshow of our visiting the Grand Canyon in January one year. Snow on the ground and the cold winter weather made for fewer crowds of people. What would you like to do at the Grand Canyon? Have been there and loved it! Sequoia and Kings Canyon National Parks Contain Largest Living Things on Earth! So glad you liked it! Hope you get to visit the Grand Canyon someday. Nice seeing you here in Houston on your latest trip here from Germany. 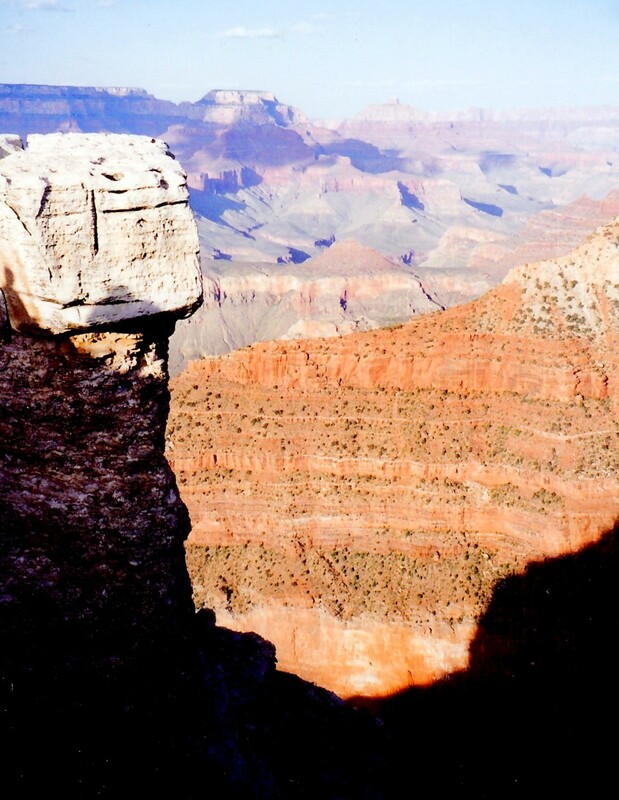 So nice that you have gotten to visit the Grand Canyon. Am sure it is a memory you will never forget. We were there many years ago before we were married. 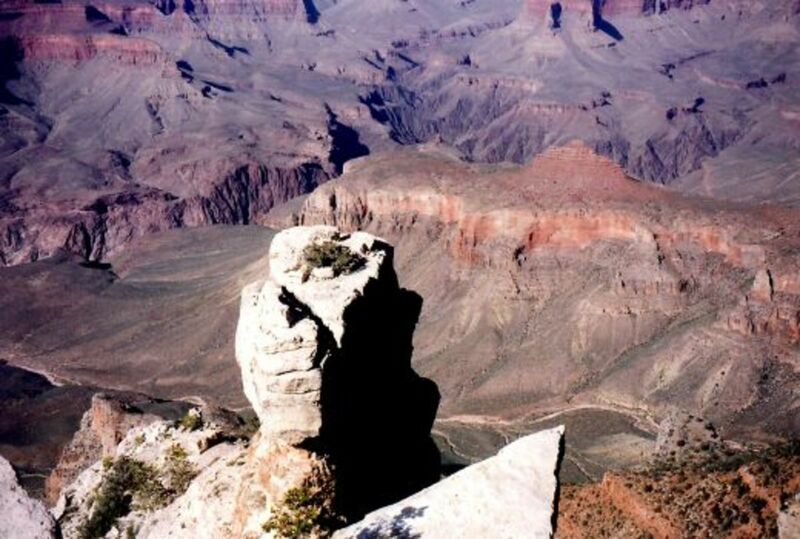 Nice that you at least got to see the Grand Canyon as a child. Some of those images stick with you no matter how old you get! Thanks for the shares. Oh Peggy, this is amazing , beautiful and interesting and voted that way. I was a child and was awestruck, I can only imagine if I saw again. It is too beautiful. Thumbs up, and pinned and shared. Beautiful photos and great information for anyone traveling to that area. Thanks for sharing tips and other information about your trip. So happy to hear that you liked this hub about the Grand Canyon and especially my first attempt at making a You Tube video. Thanks for your comment. This Hub is a treasure chest of gorgeous photos and videos of this magnificent wonder. You really did an outstanding job here, and you should be very proud of this Hub! Voted this UP, and will certainly share. Wonderful Hub, Peggy! I loved your slide show! Thanks. 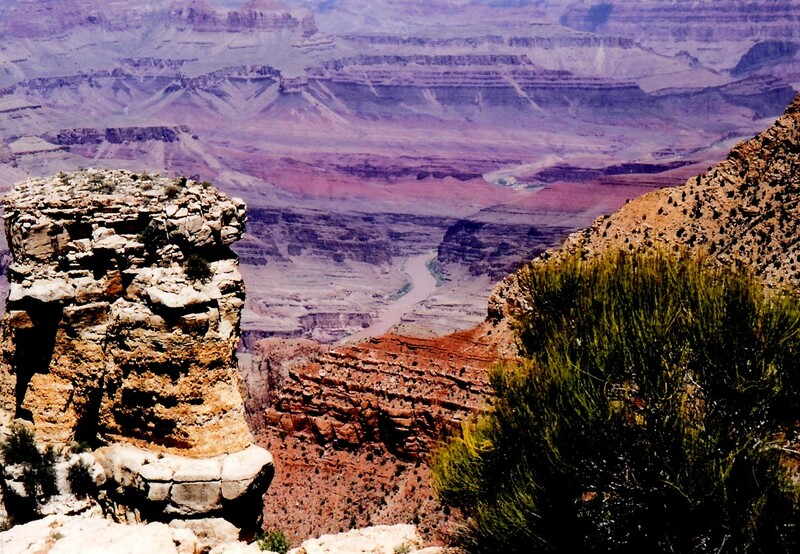 Beautiful photos of the natural wonders of the Grand Canyon. Very insightful information and videos. The Grand Canyon is really breathtaking. Great youtube video you created. You are a natural artist. Great hub. That it is! 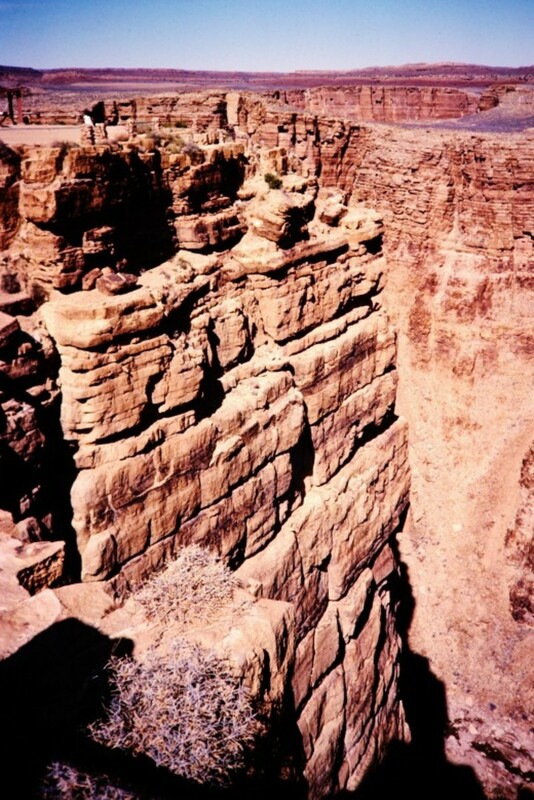 It is no wonder that the Grand Canyon is considered to be one of the wonders of the world. Happy to hear that you enjoyed these many photos. Thanks for your comment. One of the wonders of the world and your hub captured it nicely. I guess whoever gave the adjective "grand" to the Grand Canyon knew what they were doing. Glad to hear you liked these pictures that I took in different seasons of the year. Thanks for your comment. Amazing gallery and photographs. This is such a beautiful place. Mother nature really out did herself. Overwhelming is a good word to describe being at the Grand Canyon National Park. It is hard for words to do it justice. Thanks for your comment and votes. I remember many years ago seeing the Grand Canyon and somewhere there should be pictures I took.My memories are dim since everything on the trip was overwhelming. I had seldom been away from Minneapolis back then.It would be nice to see it again.Voted up and awesome. 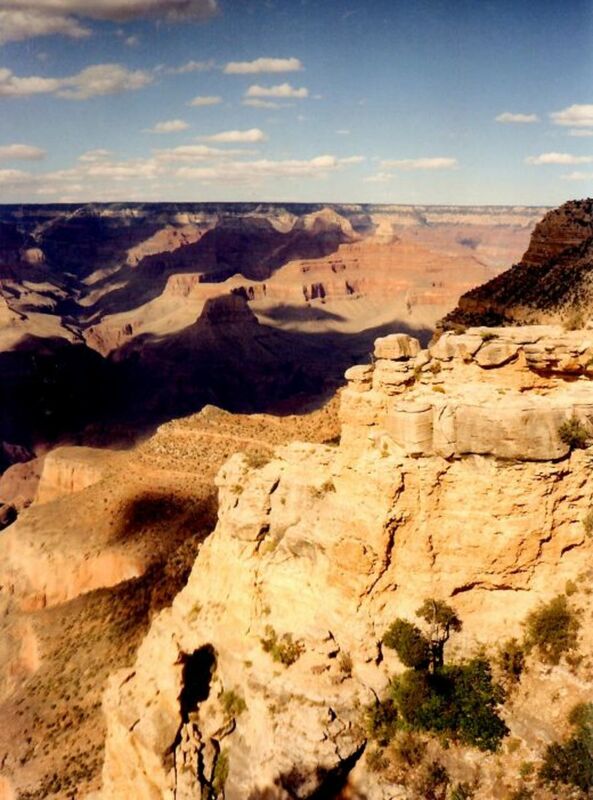 When you travel to Arizona to the Grand Canyon National Park, give it a nod from me please. Would love spending more time there myself! Thanks for the comment. Hi Peggy, awesome! Including this in my bucket list too! LOL Grand Canyon, here we come!!! 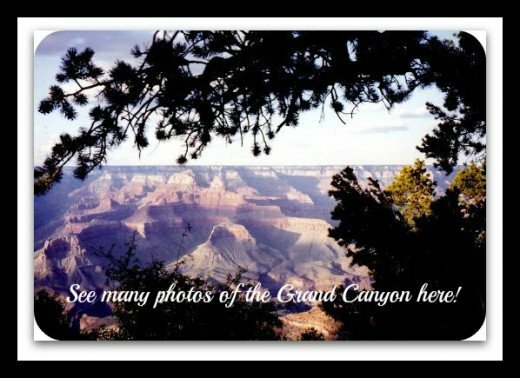 So very happy you liked these pictures of the Grand Canyon National Park in Arizona. Thanks for the comment. Your "bucket list" must be getting longer by the day! Ha! Wonder whose is longer...yours or mine? So many wonderful travel destinations around the globe. Hope you get to the Grand Canyon sometime. You will be amazed at its beauty! Thanks for commenting and glad you liked the pictures. Yes, the Grand Canyon is certainly that..."awesome!" Thanks for commenting. 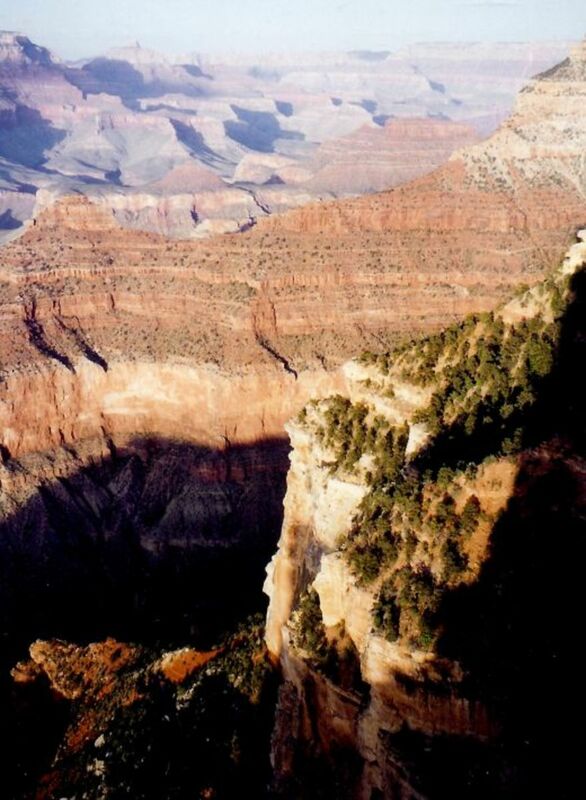 Hope your wish comes true and that you get to travel to the Grand Canyon National Park in Arizona someday. Thanks for visiting it through this hub. Peggy as always a great hub and fantastic photography to go along with the description. I would love to see the Grand Canyon, another item to add to my "bucket list"! I too have visited the Grand Canyon more than once. It is one of the few places that truly define the much over used word "awesome". Great pictures, this is one of beautiful places on earth I dream of visiting. I would have to agree with you. Much as I love looking at other people's pictures of travel destinations, being there in person would be the best case scenario. The only good thing about seeing photos is to help encourage or help rule out visits to places that one has never previously visited. Thanks for visiting the Grand Canyon in this hub. Would love to visit, Peggy. Although your photographs are stunning there is nothing like seeing in the flesh, so to speak. Glad you liked the pictures of the Grand Canyon National Park. Yes...it is that...an "amazing hole in the ground" and even more. 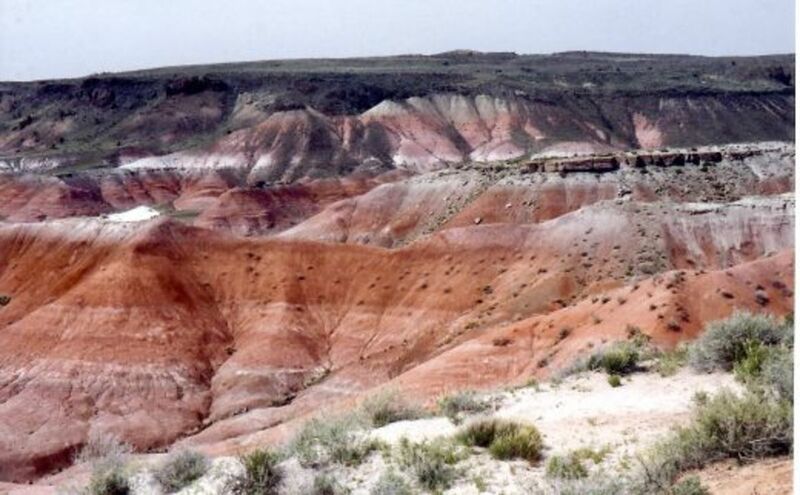 Lots of history as well as geology there. Thanks for the comment. Hi Peggy, great photos you have here! 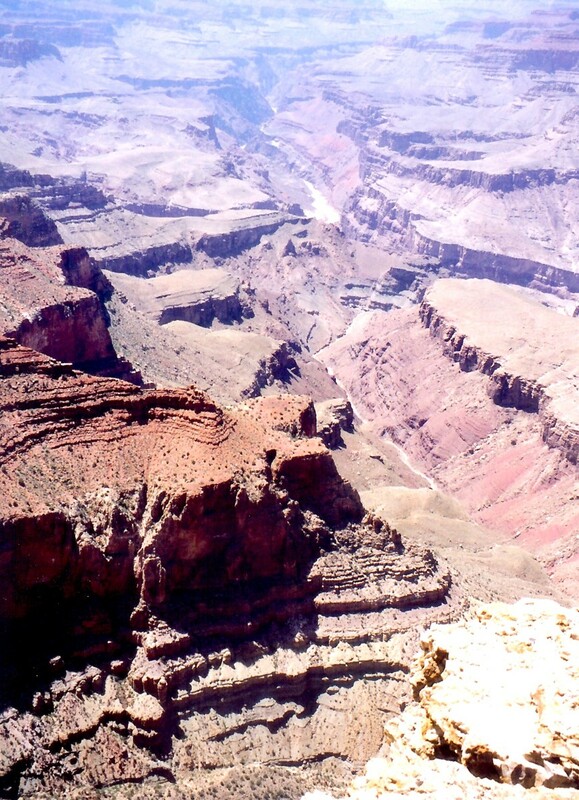 I remember vividly when I first went to the Grand Canyon in 1979, it was one of the most amazing hole in the ground that I have seen!! Thanks for sharing this. 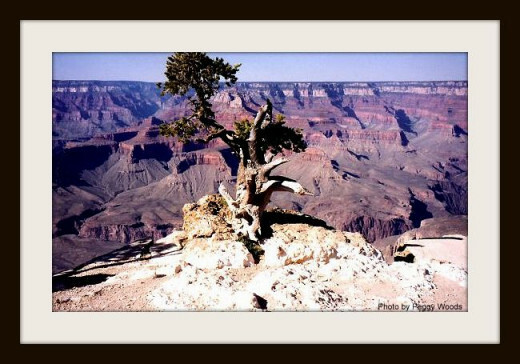 So pleased that you found this Grand Canyon National Park hub of so much interest to pass it on to others. Thanks for the compliment. Glad that you liked this Grand Canyon hub. Thanks for letting me know. Maybe you can pad that mule with a cushion for your ride down the canyon. My friend had a very sore backside after her journey. LOL Hope your wishes come true. Thanks for the comment. Very happy that this hub about the Grand Canyon reminded you of your trip there in the past and was able to generate good memories. Thanks for reading and commenting. The Grand Canyon is certainly amazing as you stated. Thanks for reading and commenting. Thanks for taking the hub tour of the Grand Canyon National Park. "Almost like being there"...well...not quite, but at least you have more of an idea of what can be found there if you go in person. Happy to hear you liked this. Thanks! Glad you enjoyed the tour of the Grand Canyon, and yes, I feel very fortunate to have been there. Thanks for the comment. I'm still smiling! This is definitely one of the wonders of the world. You gave so many beautiful picture and so much information. I sincerely thank you. I want to do the mule ride. Have done the small plane ride over it and a helicopter ride. The river adventure sounds like fun too. Great pictures and hub! Wow... What great shots! Thanks for sharing! 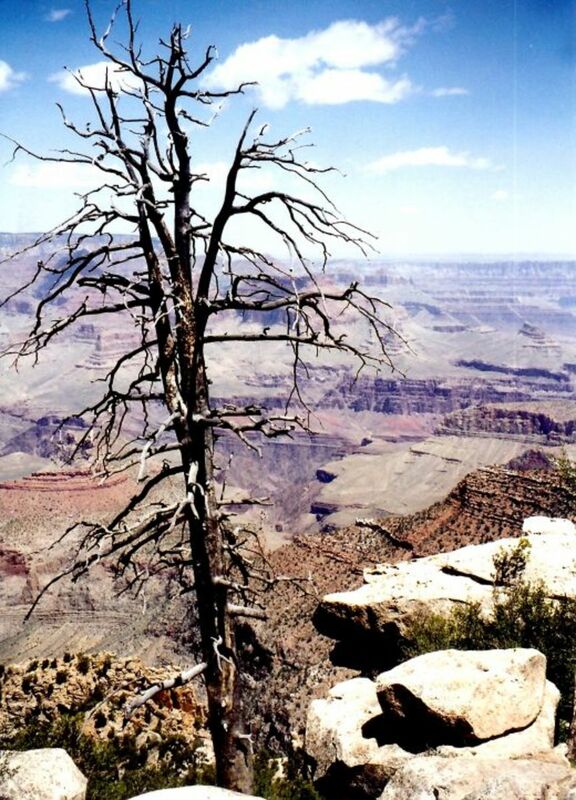 I haven't been to the Grand Canyon in about 20 years, and your photos brought back some great memories. You've seen so many great sights, had such fun.. taken pictures of your hubby in shorts! I wandered into my kitchen this morning. Not the same thing. Maybe I should take you on a tour of the condiments in my fridge? "This is the mayo.. this is the soy sauce..""Thank you for joining me!" No? Well, I have your hubs to remind me of amazing places I'd love to go! I wholeheartedly agree with you that seeing the Grand Canyon should be put on people's list of places to visit if at all possible. All of our National Parks are really special and this one is no exception. The Grand Canyon is awesome. Everyone should see it at least once. 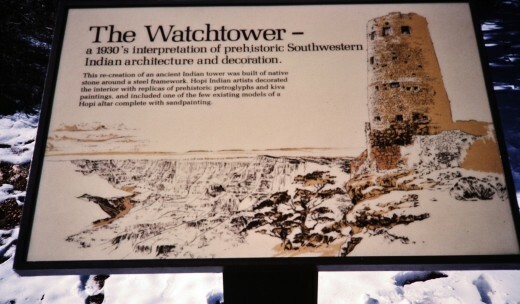 We were there twice, both times on the south rim. I would not take the mule trip; I have too many phobias for that. I would agree with you! I tried hard with my pictures to capture some of the beauty of the Grand Canyon and even did a lithograph using one of the images as subject matter...but it pales in comparison to the real thing. Thanks for being the first to leave a comment. It is a trip of a lifetime! No camera or painter has ever done it true justice, just can't be done..